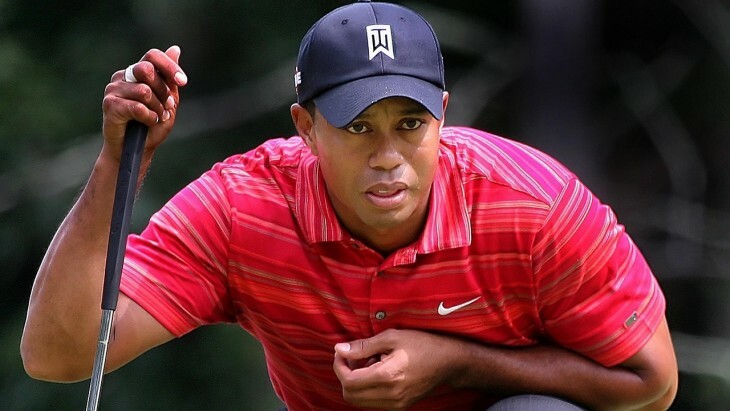 I just read 18 blogs about the astrology of the Tiger Woods accident and scandal. In his horoscope, the most common explanation was Sun square Pluto which just doesn’t cut it for me, firstly because the orb is nearly three degrees, and secondly because this aspect simply does not explain his many infidelities. If it was Moon or Venus square Pluto, then fair enough. As to why it happened when it did, the two most common explanations were transiting Uranus square natal Moon, and transiting Mercury opposite natal Mars. I totally agree on these points. Transiting Uranus conjunct DC was used to describe the effect on his marriage, and the square to the MC was used to explain the effect on his career. The orbs for these last two are wide, and they are not needed when something extra is discovered. The precession correction value is 28′. Natal Moon is conjunct the brightest star in constellation Ophiuchus Ras Alhague (16′)”misfortune through women, perverted tastes and mental depravity”. One short sentence, no signs, no houses, no blurb. All we need to add is that transiting Uranus (unexpected sudden changes) squared (tests and challenges) natal Moon (women). The argument and the car accident, great example of the manifestation of this transit. Nothing interesting can be added from the star natal Mars is on, but transiting Mercury was influenced by the conjunction to a star in constellation Ophiuchus called Sabik (43′) “perverted morals, and success in evil deeds. With Mercury: Injury from open enemies, little help from friends, failure in business…legal losses, scandal through relatives of marriage partner.” Now this added information explains the involvement of the wife (DC) and the effect on the business (MC). We don’t need those wide orbs from transiting Uranus. Now transiting Venus was not in aspect to natal Venus but there is the link with the two brightest stars in Centaurus, about five degrees apart and with similar influence. Transiting Venus did aspect something in his chart however. This 24 degrees Scorpio is a sensitive spot in his horoscope because through transit it is the action point of a Yod configuration to Chiron sextile MC (20′). Now we have a link to the wounding and yet another to the career. Natally Chiron also aspects the Moon and DC. To top things off, the preceding New Moon (24sco34) was also on this sensitive spot. With the Sun and Moon on (38′) “rashness, sarcasm and bitter speech, strong passions”. More tight orbs in transit to the MC and DC, not from Uranus but from the New Moon and Venus. This incident for Tiger is an excellent example of how the fixed stars in the natal horoscope dramatically effect our lives and why they should be used by astrologers. They give much more accurate readings than can be given by relying on signs, houses, and even aspects alone. This case is also another example of how the fixed stars influence us through aspects from a transiting planet or lunation. In Tiger Woods case, you mentioned Venus sq Pluto would have made sense and I agree, However, I am surprised you missed the fact that he has Venus in Scorpio (similar to Venus / Pluto)! As you must know, Venus is in its detriment but basically represents a very intense and emotionally passionate placement. I bet his wife was rather cold as compared to his nature which didnt help either. I find that men in power (senators, atheltes etc) have a much higher passionate drive to begin with and with Venus in Scorpio, it makes one not very selective (although he chose the most beautiful women too). His Venus sq Saturn made him feel very insecure in love also which made him seek these relations to compensate for his lack of love. It is sad that all the women sold out to Enquirer without thinking about how it could effect his marriage. I am sure he would have tried to mend it but too much negative publicity affected his wife also. p.s. Good technical articles by the way. Hi there Hassan, nice to have your interpretations. I did read others focus on Venus in Scorpio but the point I was trying to make with this post is that the fixed stars give much more accuracy as compared to the 12 signs. More so with his Moon though than Venus but from memory I do not think his natal Venus was being aspected by transit at the time of his downfall. How does Uranus square Moon explain him taking a leave of absence from Golf? Oh yes! You make it very easy to forget the signs. More and more impressed by these fixed star. Gary, that Uranus transit to the Moon was about the women. Transiting Venus on the New Moon degree quincunxing both MC and Chiron would have been more about the resulting effect on his career. I suspect the next New Moon this Wednesday will have influence on his wanting to say at home (conjunct IC). BTW, your Goddess Astrology article about Juno in his chart was the only original take on his chart I came across. Thanks Jamie, it seems we find our way to the same place via very different paths! Yeah, I think the intensity the fixed stars bring is the only technique that truly does this event justice tho -well done! I agree that many people are blinded by pluto and cant see past that archetype. it is like pluto has abducted the minds of many astrologers and they cant see the subtleties which contain the real juice of what’s going on. Take a look at Ceres! She is Pluto’s Ma-in-law after all – She’s definitely in the air. will do Faye, i haven’t been paying attention to her but Marina certainly does in all her readings now. thanks.